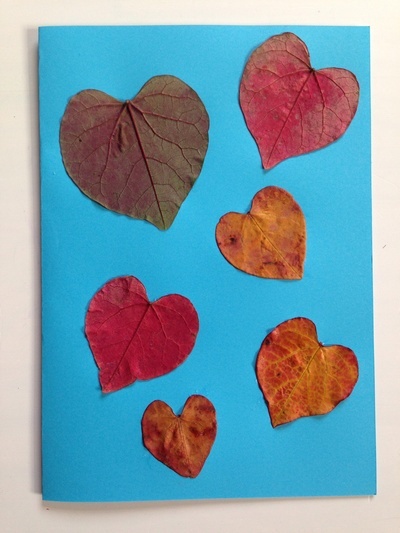 Look out for pretty shaped leaves to make an easy card for someone special. 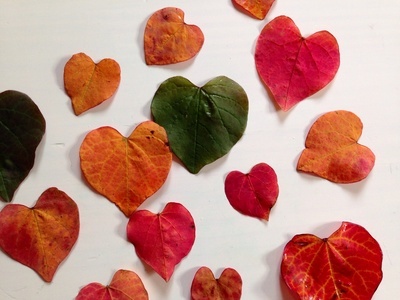 We found these beautiful heart shaped leaves in bright shades of red, green and yellow. 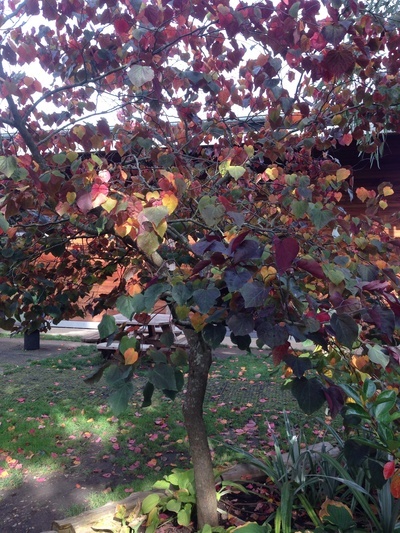 Collect leaves and look at the pretty shapes and colours. Pick out your favourites. 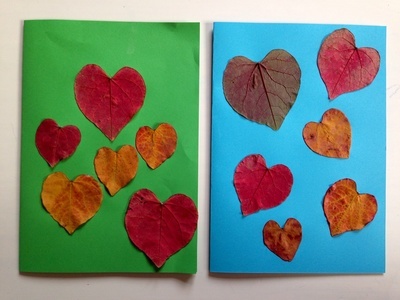 Glue onto a piece of colourful card.